Himachal Pradesh govt. 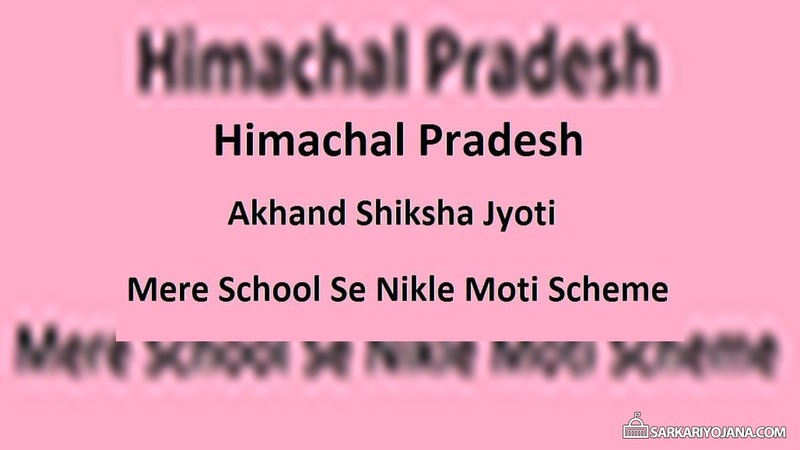 has launched HP Akhand Shiksha Jyoti – Mere School Se Nikle Moti scheme to honour govt. school alumni. Under this scheme, names of old students would be written on ‘Roll of Honour board’ to be displayed in the respective schools to motivate students to work hard and excel in life. Himachal Pradesh is performing well in the field of education and the state has emerged as second state in the country after Kerala in highest literacy rate. CM Jai Ram Thakur launches Akhand Shiksha Jyoti – Mere School Se Nikle Moti scheme from government senior secondary school Bagsiad, in Seraj area of Mandi district. Those students of Himachal Pradesh who have earned name in different walks of life will be honoured. The chief minister also released the booklet on “Guidelines” on this scheme which is brought out by DIET Mandi. Himachal Pradesh has made a rapid stride in education as the state has educational institutions even in the remotest areas of state. CM has launched Akhand Shiksha Jyoti – Mere School Se Nikle Moti scheme in govt. school, Bagsiad, where once he was a student. Old students names would be written on the “Roll of Honour board” to motivate current batch students to take inspiration from these alumni. CM announced metalling of roads which leads to the school and announced assistance of Rs. 10 lakh for expansion of school ground. A stadium is also going to be constructed in the school. CM announced Rs. 1 crore to construct an additional building in Bagsiad school and also announced 10 solar lights for Bagsiad bazaar. The state govt. will provide an assistance of Rs. 51000 for the school in his personal capacity. CM will also provide Rs. 31,000 from his discretionary fund for students performing cultural programme at the occasion. Schools and teachers plays a major role to shape careers of individuals and thus every individual needs to repay back to the institution as gratitude. CM has also honoured the old students whose name was written on the “School Roll of Honour Board” under this scheme. This scheme aims to motivate students to work hard to achieve new heights in their life. Old students who have excelled in various fields should contribute for development and strengthening of their schools. The state govt. has started HP Medha Protsahan Yojana to provide coaching facility to 500 meritorious students to prepare for competitive exams like IAS, HAS, NEET, JEE,IIT etc. Under this scheme, govt. will provide Rs. 1 lakh to each student for coaching purposes. This scheme will strengthen institutions to contribute in shaping life of students of these institutions to perform better. HP govt. has also started nursery classes in govt. schools as it is felt that due to non-availability of nursery classes, parents were admitting their children in private schools. This scheme will motivate parents to admit their children in government schools. CM has also provided free gas connections to the beneficiaries of Mukhyamantri Grahini Suvidha Yojana. GSY Scheme will result in women empowerment and also a pollution free environment in HP with an outlay of Rs. 12 crore.